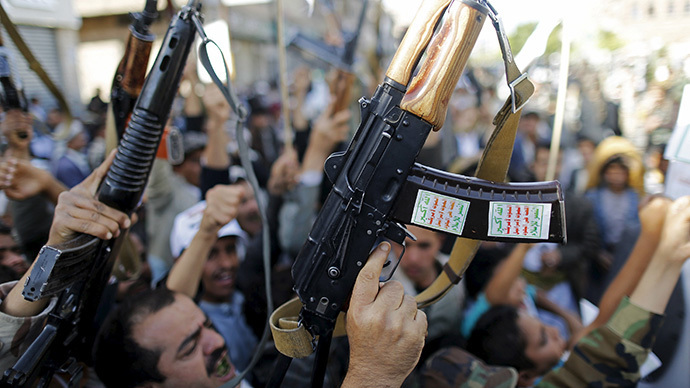 Yemen’s Shiite Houthi rebels have threatened to launch an attack on Saudi Arabia if the bombings in Yemen do not stop. The Zaidi group has sent the warning to Riyadh and demanded that UN-brokered political dialogue be resumed in Yemen. Friggin hell. AA guns going off again in Sana'a #Yemen now and explosions of god knows what..End of OpDecisiveStorm..riiight!